Just like Quentin Tarantino said, it sounds like his upcoming ninth movie isn't all about Charles Manson after all. A few months back, it was reported that Tarantino's next flick would center on the 1969 slayings of actress Sharon Tate and four others at the hands of the Manson family. However, sources told Vanity Fair that the murders aren't the main story. 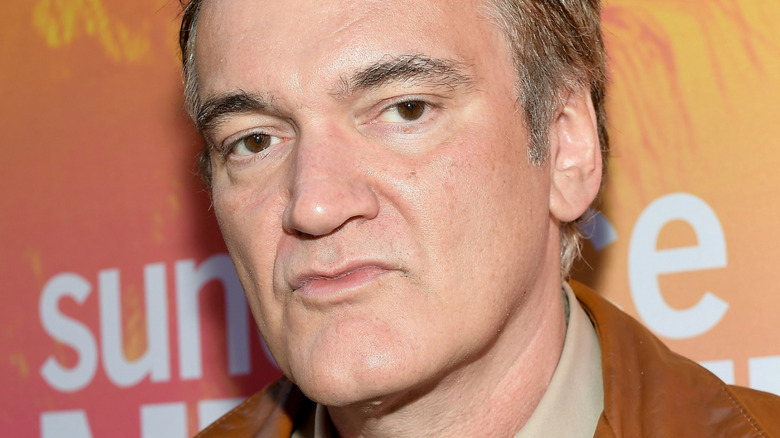 "Set in Los Angeles in the summer of 1969, Tarantino's upcoming movie, according to a source who read the script, focuses on a male TV actor who's had one hit series and his looking for a way to get into the film business. His sidekick—who's also his stunt double—is looking for the same thing. The horrific murder of Sharon Tate and four of her friends by Charles Manson's cult of followers serves as a backdrop to the main story." Tarantino reportedly wants Suicide Squad's Margot Robbie to play Tate and he's considering Tom Cruise, Brad Pitt, and Leonardo DiCaprio for the leads. In the wake of the Harvey Weinsten scandal, Tarantino cut ties with The Weinstein Company and signed with Sony Pictures. According to Variety, he reportedly negotiated a $100 million budget and final cut rights, but it's not certain that Sony agreed to all those terms. The movie, which has a working title of "#9," begins shooting in June 2018.